It's been awhile since I drew L.
L's not eating any sweets?! OMG! awwww! 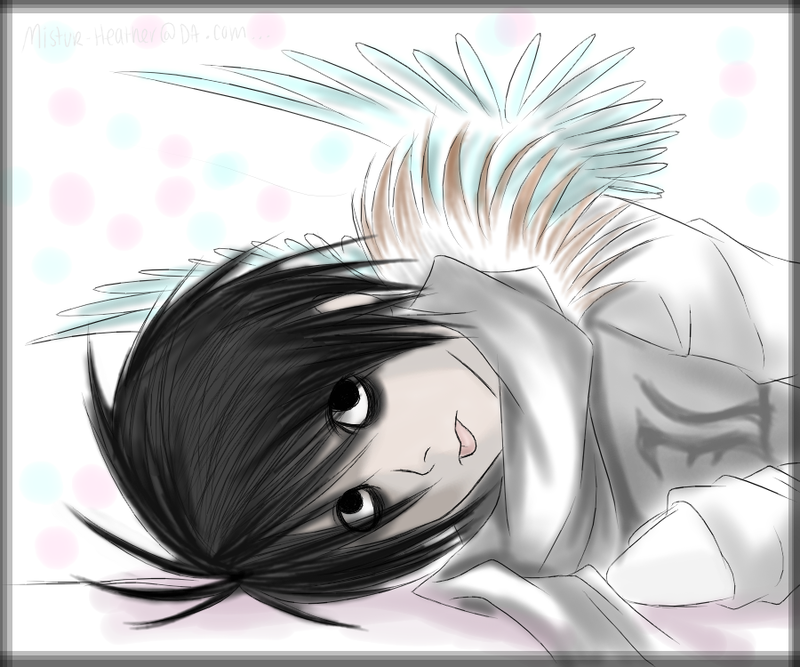 L is soo cute! This is really great! I love it! And I am totally and L fangirl X3! Good job! OMG THIS IS SO AMAZING! FAVES ENTIRELY!